Must have been accepted by and planning on attending The Florida State University as a freshman beginning Fall 2018. Please note applicants will be contacted via US Mail by May 28th if eligible. 5) A list of the names of FSU Alumni with whom you are well-acquainted, the year they graduated, their current address, and relationship to you, i.e., parent, friend, etc. The application and all required supporting materials must be sent to sandiegoseminoleclub@gmail.com by 5 p.m. Pacific time on Friday, June 8, 2018. 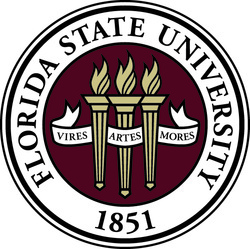 Expressed desire to attend the Florida State University. Recipients will be notified by June 13th and announced on social media shortly thereafter. If you are interested in this scholarship or have other questions, please contact Ashley Springer at info@laseminoleclub.com or Jeanette Jungreis at sandiegoseminoleclub@yahoo.com as soon as possible. Through alumni like you we are able to give a scholarship to more than one deserving incoming freshman. If you would like to donate to the scholarship fund you may do so here. All donations are tax deductible and you will be recognized for your donation. Introducing an extraordinary opportunity for high-achieving, global-thinking, adventurous college freshman….The Florida State University First Year Abroad Program! The First Year Abroad (FYA) Program allows students to spend their first twelve months of college studying in London, England; Florence, Italy; Panama City, Republic of Panama; or Valencia, Spain. The hallmarks of FYA include small classes, engaged faculty, co-curricular cultural experiences, and outstanding student support systems. Additional program benefits and rewards continue upon return tour campus in Tallahassee. In fact, we are so committed to providing students with this experience that we offer a significant financial incentive for students who successfully complete the program: “in-state” tuition rates for the remainder of their first undergraduate degree at FSU.